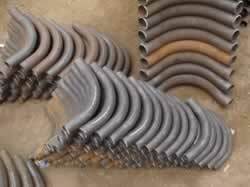 Pipe bending, Bend pipe | Sunny Steel Enterprise Ltd.
Our induction pipe bending services are ideal for the the general and process pipework industries, offshore oil and gas production sectors and the power generation. 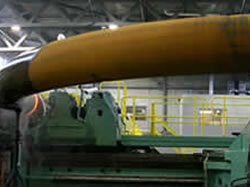 We provide an exceptional range of post-bend heat treatment solutions. 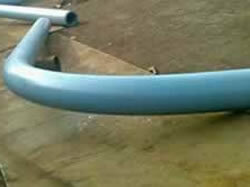 The bend is used to change the direction of run of pipe.it advantage is can matach long distance transition requirements, so it is commonly that bends dimension according to customer design. 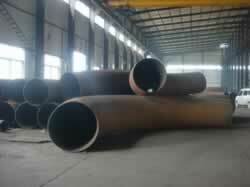 Usually, the bends consist of 3D,5D,7D even 12D series.carbon steel bend. 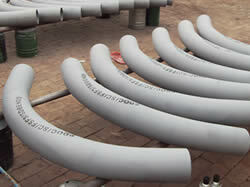 Our extensive induction pipe bending work includes API standard facilities, ASNT / PCN approved company, primer and fusion bonded epoxy, passivation, and destructive and non destructive chemical testing. We can also transport and deliver any items across the China and internationally. Our packing and transport services cover sea, air and road and our deliveries are inspected through third party-certified agencies. The bend is used to change the direction of run of pipe.it advantage is can matach long distance transition requirements,so it is commonly that bends dimension according to customer design. 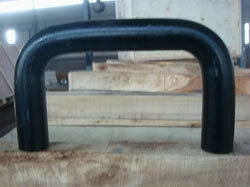 usually,the bends consist of 3D,5D,7D even 12D series.carbon steel bend. This entry was posted in Pipe fittings and tagged Bend pipe, Pipe bend, Pipe bending, Pipe fitting, pipe fittings, tube fittings by sunnysteel. Bookmark the permalink.